It may be turning frosty outside, but November was a red-hot success for ParkCloud! As 2018 fast approaches, it’s a great time to celebrate the successes of this year, and November was definitely a highlight for team ParkCloud! 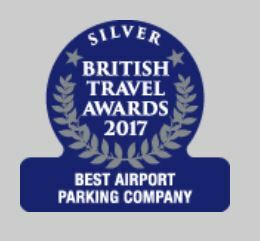 The British Travel Awards is the largest and most influential poll of consumer opinion on companies operating in the leisure travel and visitor attractions sector, and earlier this year ParkCloud received a coveted nomination for Best Airport Parking Company! So you can only imagine how elated we were this week to pick up the silver award; recognising and celebrating our customers’ continued support of our services. Thank you to everyone who took the time to place a vote, it really does mean a lot. Next year – gold! Another highlight of November was our trip to Frankfurt! We’ve been gearing up for this year’s Airport Parking Network Event (APNE) for the last couple of months – prepping our workshop, creating our presentation and organising our trip. So, when 19th November finally came around, we were ready and excited to jet off to Germany! Held in the majestic Hilton Hotel in Frankfurt Airport, this year’s event was tipped to be the largest in APNE history, with airports and businesses from all over Europe - and even further afield - in attendance. Hosted exclusively for airport parking managers and businesses within the parking network, APNE provides an opportunity for quality networking, industry discussion and workshops designed specifically around airport parking. As a European leader in airport parking reservations, we wanted to host a workshop that was interactive, informative and also fun for attendees to participate in. With marketing at the core of ParkCloud’s operations, our theme centred on bridging the knowledge gap between airports and internet-savvy consumers, talking delegates through the importance of recognising and responding to the changing expectations of their digitally-minded customers. Mid-presentation we broke off for an online quiz that revealed facts about various online marketing touchpoints and joined back together as a group to tie it all together at the end with a live example case study. The quiz got quite competitive – especially when the Amazon vouchers and chocolates were unveiled as prizes! We had a great response from all airports and industry that took part and we’re now going to reveal the final overall standings from both workshop quiz sessions (1st-10th place). Thank you to all who took part in the workshop and to Parking Network for hosting a great overall event. We’re looking forward to the big reveal for 2018!